Many readers of this publication will be familiar with Reta Halteman Finger’s remarkable communication abilities, honed as editor of the pioneering Christian feminist journal Daughters of Sarah, and now employed above all in making Scripture come alive in ways that stretch the mind and enlarge the heart. These qualities are present in superabundance in her new book, Of Widows and Meals: Communal Meals in the Book of Acts. Professor Finger brings a rich trove of social history, archeology, cultural anthropology, feminist sensitivity, and exacting exegesis to bear on the matter of communal meals in earliest Christianity—and their relation to the bit-of-bread-sip-of-wine Lord’s Supper/Eucharist/Holy Communion as celebrated today. The historicity of the sharing of possessions and the participation in daily shared meals, as described by Luke in Acts 4:32-37, is widely questioned and dismissed as an idealization of the life of the early Jerusalem church. Reta shows how the social location of the interpreters—their own personal and political orientation—lies behind their rejection of its historicity. In a fascinating tutorial in comparative biblical interpretation, Reta Finger chronicles how John Calvin feared that a literal interpretation as advanced by Anabaptists would threaten the social and ecclesiastical order; how individualistic 19th century readers of Acts could not imagine such a commitment to sharing of wealth and table; and how 20th century interpreters’ political fears of a Communist political system bred a fear that to acknowledge actual sharing of possessions and daily communal meals in earliest Christianity would somehow legitimate Communism. In contrast, the author asserts that the Acts account is no idealization, but a description of the actual life of the Jerusalem followers. Jesus himself practiced and preached the Kingdom of God through sharing meals (open commensality) that violated all sort of social and religious boundaries and taboos. Having known this practice, the earliest, post-resurrection Jesus followers emulated Jesus’ sharing as they continued to experience and to proclaim of the Common-wealth of God with its radically inclusive and wealth-sharing ways. The radicality of this practice, she points out, is especially apparent in light of the highly stratified social context where many were considered unacceptable as meal partners, where sharing meals symbolized a significant dimension of personal relationship, and where issues of invitations and seating were so fraught with potential for jealousy and shame that a banquet could be approached with great anxiety. When Finger turns her attention to the neglected Hellenistic widows in Acts 6:1, we see most clearly the interpretive power of her feminist perspective. Given that the Bible is the product of a thorough-going androcentric (male-focused, male privileged) society, she offers this basic premise for biblical interpretation: When women are mentioned in Scripture, it is because they are either in some way remarkable or they constitute a problem. We would all do well to inscribe this prominently inside the cover of our Bibles! This leads her to take careful note of the reference in Acts 6:l to the complaint that the “the Hellenistic widows were being neglected in the daily distribution of food.” Through a careful examination of social and historical context, she brilliantly reconstructs the underlying issue for the Hellenistic widows. She notes how prominent and ubiquitous widows were in those days because, as research indicates, the average age of marriage for Jewish women was at puberty, 12-14, for Jewish men, 20-22; and for Gentile men, 28-30. Thus if women survived childbirth, they would often outlive their first and even second husbands. Further, she points to the recent scholarly consensus that the Hellenistic widows of Acts 6:1 were not Gentiles, but Jewish women of the diaspora, whose first language was Greek, not the Aramaic of the Hebrew widows native to Galilee and Judah. Here she boldly challenges yet another widespread assumption—that the complaint was about these widows not receiving adequate poor relief. 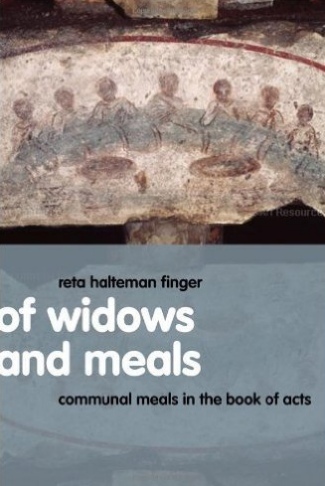 Finger argues persuasively that the Hellenistic widows should not be seen as objects of poor relief, but as subjects—women wanting to be fully responsible, alongside the Aramaic-speaking “Hebrew” women, for organizing and serving the daily communal meals. It is not that the Hellenist widows are receiving insufficient charitable handouts but that they, for cultural and language reasons, are being marginalized from the coveted role of preparing and serving the daily communal meals of the Jerusalem church—meals that were the central focus of the life of these earliest followers of Jesus. Finger notes, interestingly, that the appointment of the Seven to table service was to a role traditionally assumed in patriarchal society by women alone. But this, she avers, was but an extension of the Jesus portrayed in the gospels as having the qualities of a mother in patriarchal society. Jesus not only nurtures, comforts, and sustains the family (now the new family of the Commonwealth of God), but also has a central role in feeding this new family, as when he fed “the multitudes.” Further, he directed his male disciples to exercise the function usually reserved for women to serve the food to the crowds of women, children, and men – who, significantly, reclined, as at a Hellenistic banquet. I love the way the author enables us to imagine what it was like back then. 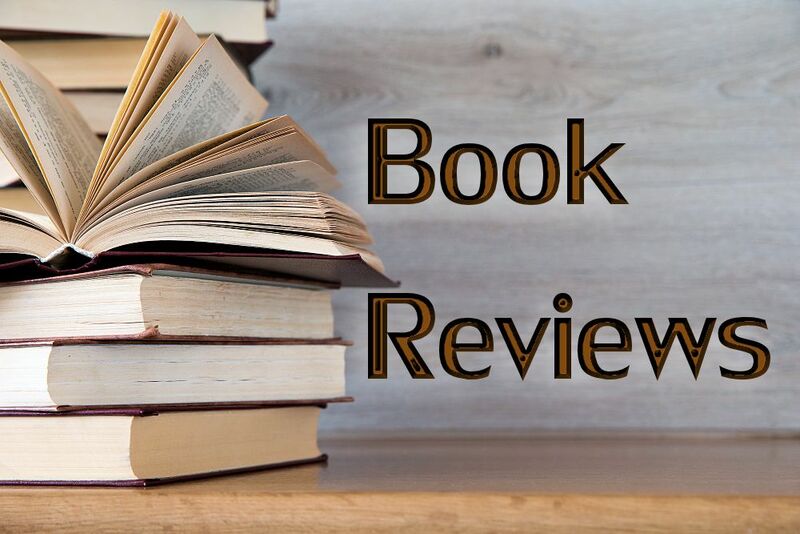 One special instance is her discussion of the crowded urban setting of Jerusalem, where the streets were only eight feet wide, and where the singing, praising, praying, and food sharing of a strikingly diverse and motley group of people could not be ignored by neighbors and passers-by. By example as well as proclamation was the good news spread, so that “The word of God continued to spread; the number of the disciples increased greatly in Jerusalem….” (Acts 6:7). In closing, Reta Finger provocatively raises the question as to how much of this original Jesus meal tradition the modern church has lost. She urges us to consider ways our agape meals/Lord’s Suppers/Eucharists/church suppers could reclaim the radicality, vision, and promise of the earliest Jesus meals—how they again could be “a living parable of the new Israel,” of “the beginning-to-be-realized Messianic hope.” Practitioners of the Way of Jesus today—meal servers, food preparers, scholars, pastors, Bible students, lay leaders, social activists, and evangelists—will all find much to ponder, and repeatedly to return to, in Of Widows and Meals.